Nell and Layla were born 17 months apart. 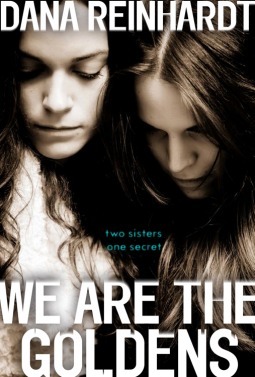 They’re so close that when she was tiny Nell thought they were one person, Nellayla. Layla is the shining star that Nell looks up to. Nell’s used to being in Layla’s shadow. But when Nell joins her sister at City Day, she learns that high school is a lot different than she expected and that at school Layla is surprisingly distant. Soon Nell finds out that Layla’s got a big secret, and Layla makes Nell promise not to reveal it. Nell doesn’t even dare seek the help of her best friend Felix, who’s got issues of his own to cope with. Nell is firmly tied in a net of promises and indecision, and her loyalty is beginning to feel more like betrayal. This story places the reader in Layla’s place as Nell recounts events of the recent past. Readers consider with Nell the questions of loyalty, love, public opinion, and more as Nell and Layla make their way through Nell’s freshman year of high school. The second person perspective rubbed me a bit raw in parts, but the characters, especially Nell and Felix, were appealing enough that I could ignore the chafing. The mystery of the book hung over the story and made me want to read faster, if only to know how it would be resolved. We Are the Goldens is a young adult novel that is true to teenagers. Nell, Layla, and Felix are striving to find their way as increasingly independent teens. They’re ruled by hormones and their own concepts of what’s right and what’s wrong. They’re loyal, loving, and foolhardy, constantly weighing what they believe against what they feel. The characters are genuine and flawed. Teen readers will be drawn into this story of morals, emotions, and loyalty. I read this book courtesy of Net Galley. When Grayson was in third grade he learned how to draw a princess secretly so he wouldn’t get teased by kids who thought boys shouldn’t like to draw princesses. In his room, also in secret, Grayson learned to squint his eyes just right so that his shiny purple athletic pants looked like an elegant skirt. By sixth grade Grayson’s a pro at secrets, but suddenly keeping Grayson’s true self secret is a problem. So Grayson decides to put aside the secrets and to take one leap after another on a courageous path to reveal to the world his true self. 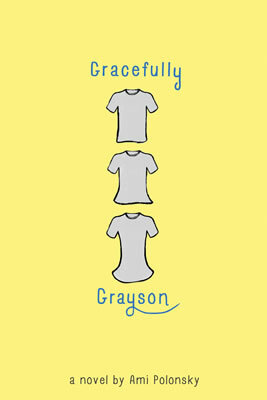 Gracefully Grayson is a sensitively told and affirming tale about an amazing kid. Grayson is utterly likeable and real. Grayson is very certain that, though born in a boy’s body, Grayson’s true identity is female. As I read I felt Grayson’s pain, mentally urged the other characters to accept Grayson, and worried for Grayson as the story unfolded. Though this story is about a transgender kid coming out, it’s not an issues book. It’s a complex story with characters that react both predictably and unpredictably to events–as people do in the real world. It’s the strong plot and the main character that made this a book I couldn’t put down until I finished it — and one I immediately wished I hadn’t finished because I wanted to keep reading. I think this would be a great book for upper-elementary school and middle school students to read. There’s a lot of love in Grayson’s life and a good amount of acceptance, but the road’s certainly not easy. Grayson’s own certainty of Grayson’s gender identity makes the story fascinating rather than excruciating. I think this novel will help non-transgender students to build understanding and empathy for transgender individuals. It might provide a great means for talking about transgender issues with tweens. I think it would be encouraging for transgender kids who read it. We all learn and gain encouragement from seeing ourselves in a book, especially when the book shows us that we can be loved and accepted for the person we are. A fabulous debut and a great addition to school and classroom libraries and gift lists, Gracefully Grayson will be out November 4. I read an advance reader copy of Gracefully Grayson courtesy of Net Galley and Disney Hyperion. This is one I’ll buy and add to my library! As the leaves turn, the weather cools, and the sun sets early my mind turns to stories that put their characters into creepy settings, encountering things both magic and mysterious. Here are some links to my recent reviews of middle grade and young adult novels that are perfect to read before Halloween. I spend most of my reading time these days reading just published or soon-to -be published books. Recently, however, I went back to this favorite from my childhood. I remembered the basic premise of the book, though not the details and wondered if I’d still like it. I thoroughly enjoyed reading In the Keep of Time again, and it didn’t feel dated or too slow to develop as older books can. It’s a familiar set up; four siblings, two boys and two girls find themselves in Scotland for the summer with a relative they don’t really know who will take care of them while their parents are away. In The Lion, the Witch and the Wardrobe the children begin in the English countryside and are transported to Narnia. In Swallows and Amazons, The Penderwicks, and The Boxcar Children, the children are this side of the pond and manage to have adventures simply by being left on their own in the real world. 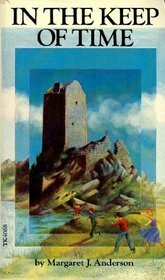 In the Keep of Time, as the title suggests, an ancient castle and a magical key transport the children back in time to the 15th century. Immediately there’s trouble, not only are the children out of their proper time, but the youngest, Ollie, seems to have had her body and mind meshed with a little girl from that long-ago time. Now they’ve got to figure out how to extricate Ollie and also travel back to their own century. Readers who enjoy history will enjoy this book. The scenes vividly depict the way of life for the Scots in the 15th century, and the children get caught up in a time of raids and battles between the Scots and the English. There’s also a good bit of tension involved when it comes to the question of whether or not they’ll be able to make it back to their own time. I figured this book would long be out of print, and it is. But there are used copies to be had online. It is also available in Kindle format, as is one of the two sequels, In the Circle of Time. I found the second sequel, Mists of Time, which is not available on Kindle, in my library network. I’ve never read the other books, but now that I’ve reread In the Keep of Time, I may well seek them out.